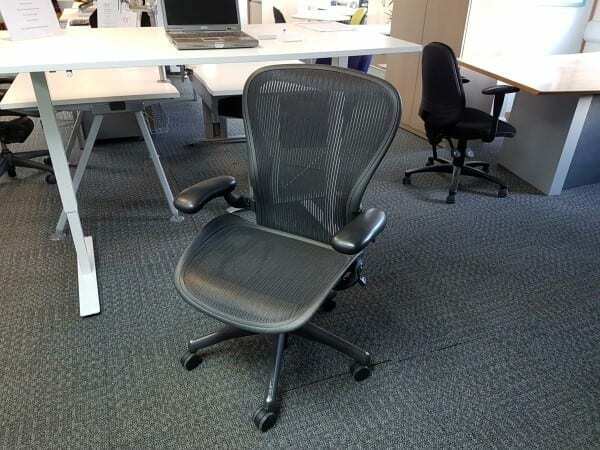 Welcome to Second User Furniture. 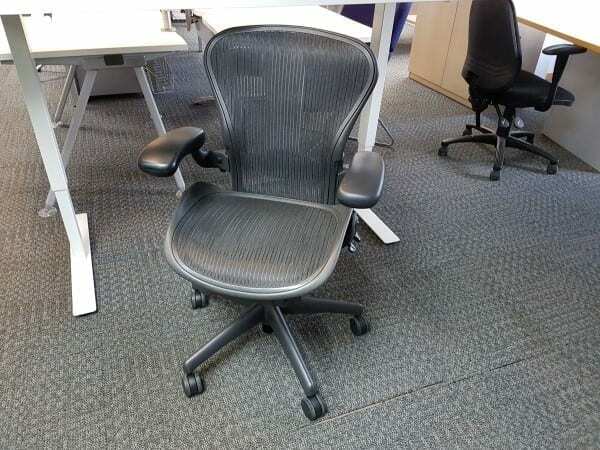 If your company is looking to purchase any used Herman Miller Aeron Chairs Size B, we have over 150 products available that come with a graphite mesh seat and back, adjustable seat height and arms and recline function for sale. To view these products in more detail, simply click on any of the images that are shown at the top of this page. If you would like to obtain some further information about these products you can get in touch with our friendly sales team by calling 07944 508282. If you are viewing this page using a Mobile Device you can also get in touch with our sales team directly by clicking on the Telephone Icon shown at the bottom of this page. Alternatively, if you would like to use our Request a Quote Online Form, simply enter your details and one of our sales team will be in touch to assist you further. 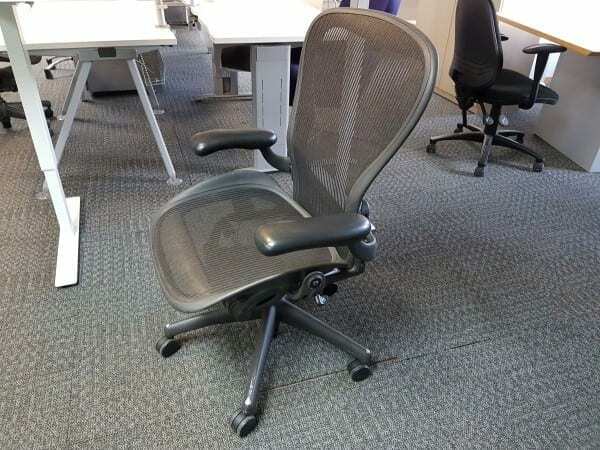 If these products were not quite the right brand name, shape, size or colour that your company was looking for, we do have an extensive range of Second Hand Chairs currently available in stock at the moment and you can view all of these products by clicking on the link that has been provided in this paragraph. 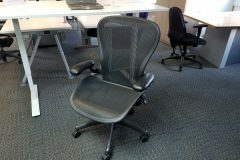 Used Herman Miller Aeron Chairs Size B.
Graphite Mesh Seat & Back. 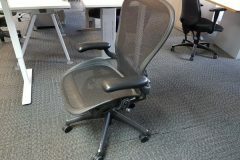 Adjustable Seat Height and Arms, with Recline Function. 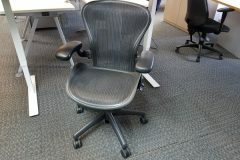 Aerons in very good condition.